Every four hours, a child between the ages of five and 14 dies of cancer in Mexico. High rates of cancer, the leading cause of death for children, disproportionately affect rural areas where access to healthcare services and transportation are limited, and many families lack knowledge of how to recognize symptoms. With more than 40 percent of Mexico’s population living in poverty, defined as less than $50 US dollars per month in rural regions, survival rates remain low. Chiapas, a state located in the southern part of Mexico, has the highest rate of poverty at 76.2 percent, and consequently, experiences one of the greatest cancer burdens. One organization dedicated to assisting children affected by cancer is Casa de la Amistad (CDLA). CDLA provides extensive social services (transportation, lodging, meals, counseling and continuation schooling) with a mission to provide a chance at life for children in Mexico with limited resources and minimal access to cancer treatment. By working with hospitals across the country, CDLA receives referrals when there is a pediatric patient in need of their services. CDLA currently collaborates with 29 hospitals across 17 states and as of Feb. 2016 has assisted over 8,300 children affected by cancer in low-income families. Direct Relief is privileged to support the critical services Casa de la Amistad provides to families each year. In partnership with CDLA and the AbbVie Foundation, Direct Relief is improving access to care by focusing on increasing treatment adherence by providing underserved patients with meals, lodging and transportation support. The ability to target and prevent treatment abandonment and failure for compliance has greatly contributed to decreasing the prevalence of pediatric cancer mortality. 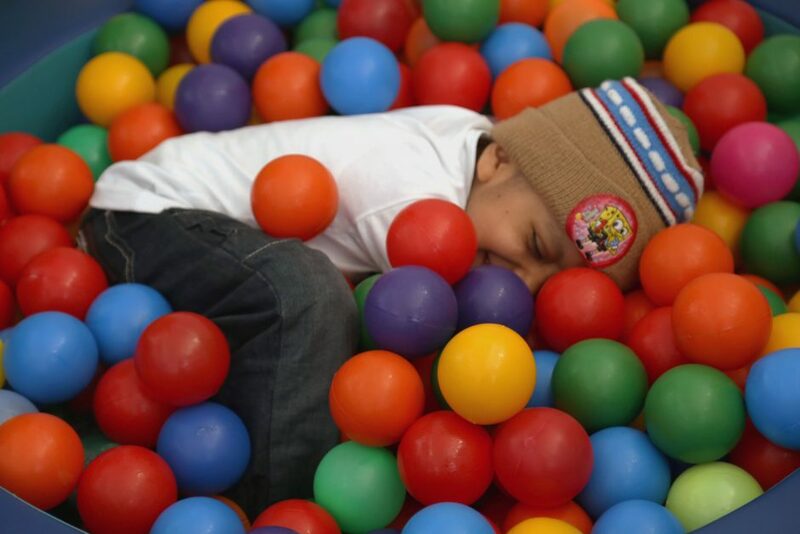 Click above to explore the story map, which examines pediatric cancer in Mexico. This collaborative program assesses patients’ needs and administers funds that enable children and their families to access ancillary and emotional support services. The financial assistance largely covers transportation, meals and nutrition and other non-medical needs such as familial support and education. While familial support contributes to easier transitions and increased treatment compliance, educational services ensure that children don’t fall behind in school while receiving treatment far away from home. As the only institution in Mexico offering comprehensive support to low-income children free of charge, CDLA plays a vital role in the fight against cancer. The unwavering support provided by CDLA staff and volunteers ensures that children not only receive a timely diagnosis but also proper attention and appropriate treatment. In partnership with Direct Relief and a grant from the AbbVie Foundation, CDLA has served over 300 children with cancer in Mexico. While many children were previously placed on a wait list before receiving care, there are currently no patients in line for treatment. Ongoing efforts to reach out to even more children in need will continue. Direct Relief remains dedicated to CDLA’s vision to lead in pediatric cancer prevention and treatment in low-resource settings. In addition to CDLA, Direct Relief has supported the work of 13 partners located in Mexico in 2016, providing more than 154,000 pounds of needed medical aid with a value that exceeds $23 million.